San Diegan Coco Vandeweghe’s impressive run at the U.S. Open Tennis Championships continues as she defeated the No. 1-ranked Karolina Pliskova, 7(7)-6(4), 6-3, to reach the semifinals. This is the second time Vandeweghe has defeated the reigning No. 1-ranked player in the world this year. She beat Angelique Kerber at the Australian Open in the fourth round when the German was world No. 1. 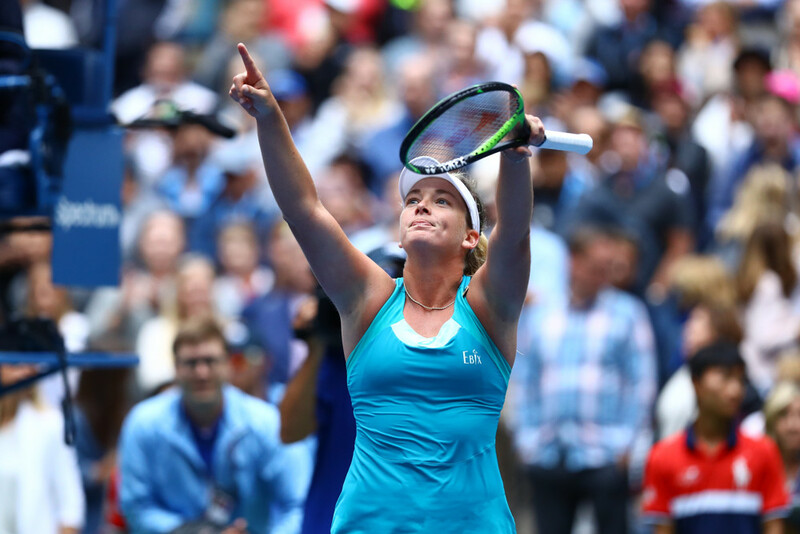 “When you start playing tennis as a kid, you dream of trophies at the end of the week,” Vandeweghe said after her quarterfinals win Monday. For the first time since 2002, four American women made it through to the quarterfinals — Madison Keys, Sloane Stephens and Venus Williams. Stephens and Williams have already made it through to the semifinals and are facing each other. Keys will face off against Kaia Kanepi of Estonia later Monday. In the first set against Pliskova, Vandeweghe’s fame aggressiveness and aggression reared its head as she fought to overpower Pliskova. Vandeweghe’s emotion contributed to her sloppy game and allowed Pliskova to save several break points and bring the first set to a tie-breaker. In the second set, Vandeweghe channeled her energy into her game and became more focused. That focus paid off as Vandeweghe took the set 5-3. Though Vandeweghe, 25, now lives in Rancho Santa Fe, she was born in New York and has deep roots there. Her uncle and grandfather both played for the New York Knicks. Ashe Stadium is her home turf and the crowd there lets her know it.